A few of Tropical Sky's sales team embarked on a fantastic group trip to Cuba, a fascinating Caribbean island full of culture and history. 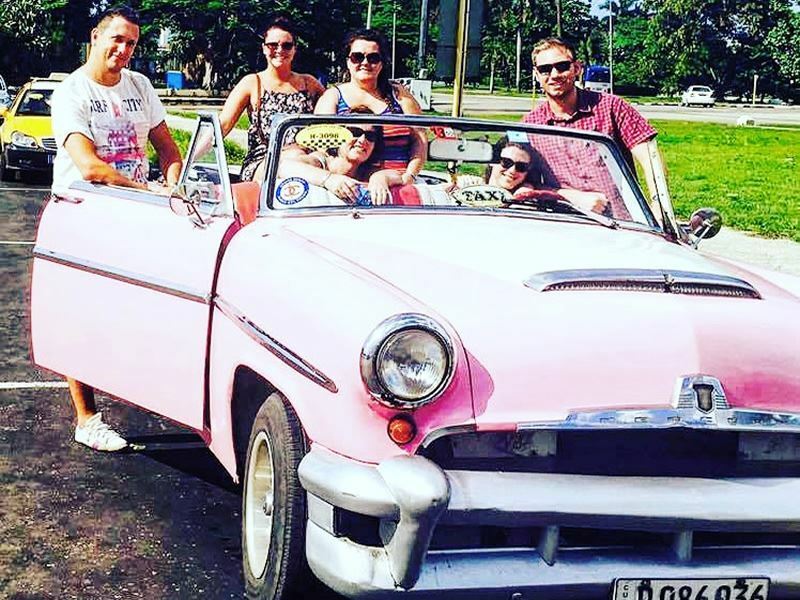 Stopping in Havana, Trinidad, Cienfuegos and Varadero, our team got to really delve into Cuba’s lifestyle, and here’s what Claudette, Richard, Lucy and Paula have to say about their trip. Cuba is a colourful destination with a unique culture and charm, and a shabby chic feel to it. The locals were so friendly and made us feel very welcome. Havana, with its historic treasures and many hidden gems, was fascinating and a real joy to explore. There’s so much to see it’s definitely worth joining a walking tour at the beginning of your holiday to get a feel for the place. 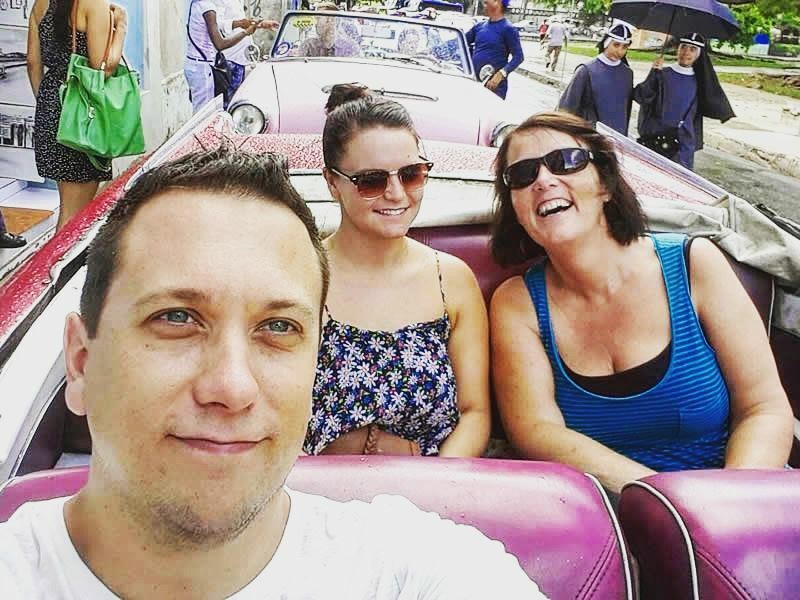 We were really excited to see the classic American cars driving around, and our city tour in a Classic Car was a real highlight of the trip. Coconut taxis are another great way to get around the city – they are so bright and cute, but a little more expensive than a normal taxi. The city has a real buzz and we loved the mix of old and new. Old Havana was especially quaint, with its little squares and small cafes which gave it a really friendly, welcoming atmosphere, and we felt very much at ease there. Trinidad, about 4 hours by car from Havana, is a perfectly preserved Spanish colonial settlement with many small museums, historic buildings and cobbled streets, which was fun exploring. At night time the town really came alive with lots of live music and cool salsa dancing. Cienfuegos, located 39 miles from Trinidad, is a nautical city with a scenic waterside setting, arranged around a lovely natural bay. We enjoyed a stroll around the leafy main square of the city, surrounded by shops, market stalls and restaurants. The beaches in Varadero were amazing with white sands and clear waters, they exceeded our expectations. We had a great time taking out jet skis and whizzing through the mangroves. Our favourite resorts were the luxurious Royalton Hicacos and Paradisus Princesa Del Mar which both had stunning settings, served superb food and the service was second to none. All in all Cuba was an interesting destination, full of history and with some gorgeous beaches. Top Tips: Research restaurants before you go, as the food can be a bit hit and miss. 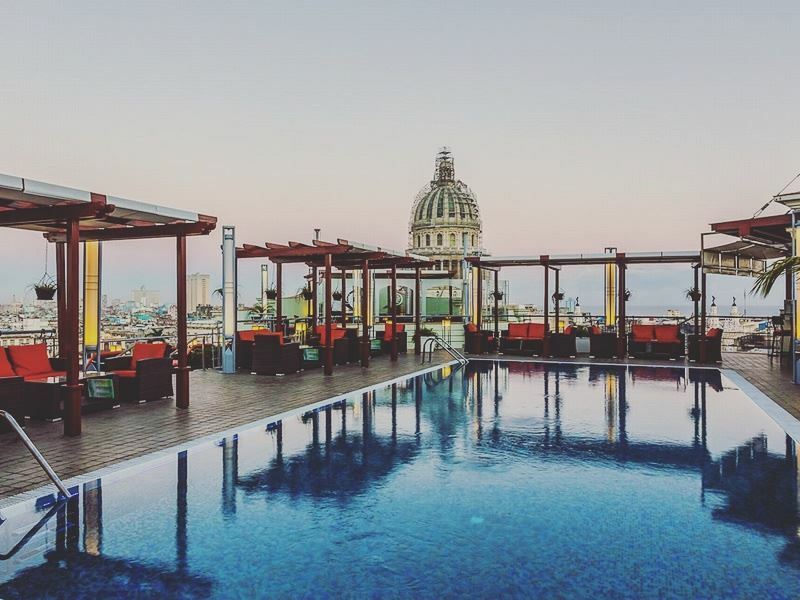 La Terraza in Havana, with its pretty rooftop terrace and barbecued food, was a real find. Cuba has such a fascinating history a trip here wouldn’t be complete with a trip to Havana and Trinidad. It’s a very laid-back place so go with an open-mind and relaxed attitude.